Lord Cornwallis (1738-1805) was a British politician and military commander, best known for his surrender to the Americans at Yorktown, the last major battle of the Revolutionary War. He was born Charles Cornwallis in Mayfair, London, eldest son of the 5th Baron Cornwallis, and was educated at Eton and Cambridge. Cornwallis chose a military career, receiving his commission in the army in 1757. After completing military training in England and Europe, Cornwallis saw military service during the Seven Years’ War, reaching the rank of colonel. He entered parliament in 1760 and the House of Lords in 1762. Cornwallis was one of just five Lords to vote against the Stamp Act in 1765. Cornwallis returned to full-time military service in 1776, sailing to North America as a lieutenant general and participating in several notable battles. In 1779 he was given a major command role in the British army’s attempt to conquer the southern colonies. 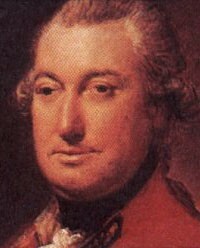 Cornwallis was a competent military leader who enjoyed the confidence of his officers, however, he found it difficult to develop or implement a successful strategy in the southern theatre. In October 1781 Cornwallis and his men found themselves trapped at Yorktown, surrounded and besieged by the French navy and American and French ground forces. After three weeks cut off from supplies and reinforcements, Cornwallis surrendered to George Washington and Count Rochambeau. The British surrender at Yorktown marked the beginning of the end of the Revolutionary War. 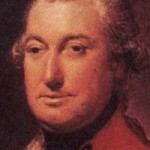 Cornwallis later served as the British governor-general of India and lord lieutenant (governor) of Ireland. He returned to India in 1805 but died a few weeks after his arrival.